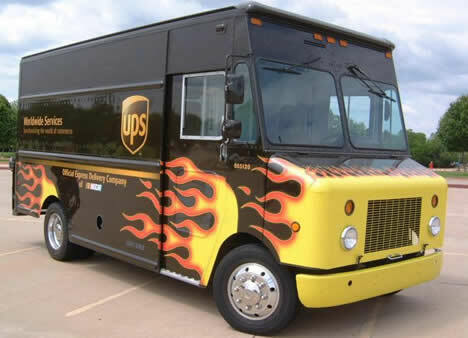 The Shipping News: UPS Sales Are on Fire! Before the holidays we noted that shipping orders were way, way up at FedEx over the previous year. Well, now it is the purple package-movers’ rivals’ turn to crow. UPS announced today that its 2009 fourth-quarter profits were $757 million–or, about triple what they were for 2008! According to this report, both companies are considered “economic bellwethers.” If that’s true, we could be looking at a sweet spring, after all. Will it be enough for UPS to hire back some of the 1, 800 jobs (which, incredibly, is less than 1% of its total employees) it is cutting from its global staff? Too soon to tell. But the new numbers sure won’t hurt. Unless you are counting the backs of the folks hoisting all those many packages. Use your legs!